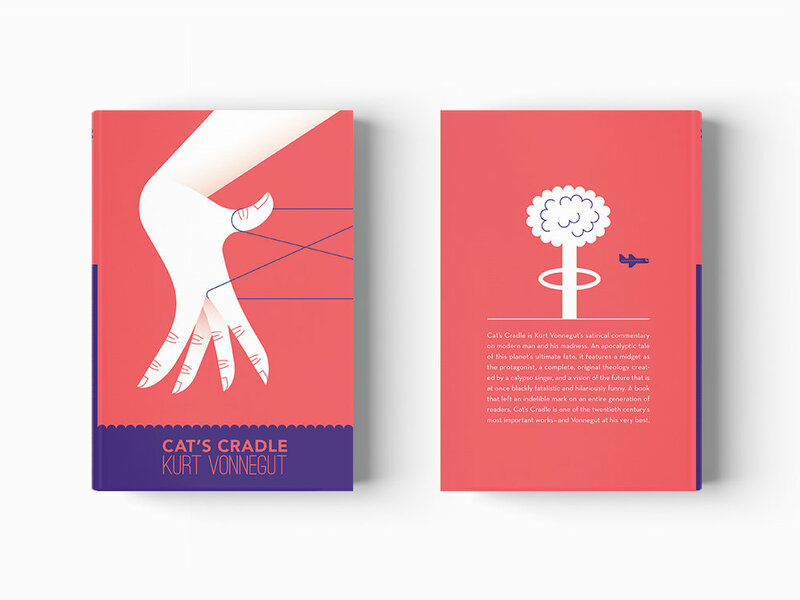 This project is a three-book collection of Kurt Vonnegut’s beloved novels. Inspired by the surreal imagery that the book title Cat’s Cradle represents (the dropping of the atomic bomb on Hiroshima) the visual concept moved towards the direction of story telling through the use of hands. The bright colors contrasts the dark humor that Kurt Vonnegut uses to convey his cynical point of view of the World.